Sarah Lockwood is a retired social worker. Today, she writes for thepreventioncoalition.org. In just a few short days, the phrase “Top o’ the mornin’ to ya,” will be ringing throughout major emerald-colored cities around the world. Green and gold decorations will be hung everywhere from pubs to living rooms, and “Kiss Me, I’m Irish,” t-shirt sales will sky-rocket while the poor, unfortunate ones who aren’t wearing green will be pinched for not participating. Leprechauns, pots of gold, shamrocks, and everything green will be the topic of conversation while the world attempts their best imitation of an Irish accent. 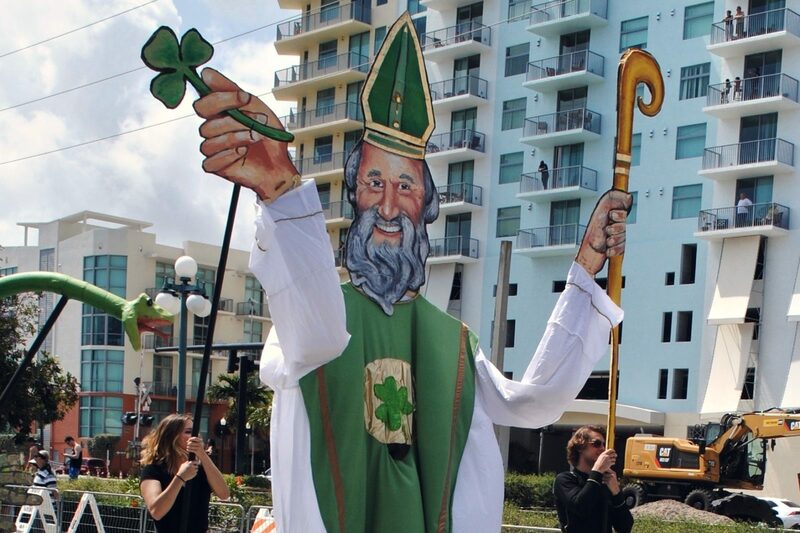 St. Patrick’s Day is arguably one of the most unique holidays of the year. For one day, there is an international celebration for St. Patrick and the culture of the country of Ireland. Most commonly, celebrations will include a variety of alcohol, occasionally colored green for full effect. But that is not the only way to celebrate Irish traditions. There is no lack of options for those that choose a different kind of St. Patrick’s Day celebration. Go to a folk music concert. Due to the popularity of the holiday, there might be an Irish folk band playing at a local venue. If not, find a concert online or rent one and invite your friends over to have an Irish concert right in your living room. Is there a river dancing troupe celebrating in your hometown? If you can’t attend a show by professionals, search for a Irish dancing tutorial video online and invite your friends over to learn your own Irish dance moves! Buy a plot of land in Ireland. Yes, this is absolutely a real thing. You can purchase your own square foot of Ireland for less than sixty dollars. What better way to celebrate the culture of Ireland by owning a portion of the country! Attend a St. Patrick’s Day Parade. Outdoor St. Patrick’s Day events like parades are typically family-friendly, which means that they are jam-packed with activities for all ages. Invite your friends over for some good, old-fashion Irish Folk songs—that you all learn to sing! Galway Girl , Dirty Old Town , and Rocky Road to Dublin are all great ones to start with. Surprise your friends by filling your social media accounts with all things Irish, all day long. Post unique phrase statuses like “Can someone come help me get my jumper from the boot of my car,” or post selfies of you standing in front of every green landmark and shamrock-covered sign or decoration you run across. Have your kids ever made St. Patrick’s Day crafts? There are tons of crafty projects they can complete that are green and Irish themed. Make pots of gold out paper, glue and chocolaty golden coins, or make green, felt top hats. Watch an Irish movie. There are several to choose from, so a family movie marathon night might be a great way to end the festive day. Go on a four-leaf clover scavenger hunt. If the weather doesn’t permit scouring the ground for actual clovers, print out or draw your own clovers on paper and hide them throughout the house. Go all out for St. Patrick’s Day in your own way! Remember, if you do decide to celebrate the day with a drink, do so responsibly and allow others to enjoy the holiday safely, as well. From kids to adults, find the fun that fits you and have a very happy St. Patrick’s Day!